The day Aretha Franklin found her sound. The day Aretha Franklin found her sound – and a bunch of men nearly killed it. In Muscle Shoals in 1967, the Queen of Soul recorded her first hit – despite swirling clouds of drink, jealousy and masculine competition. 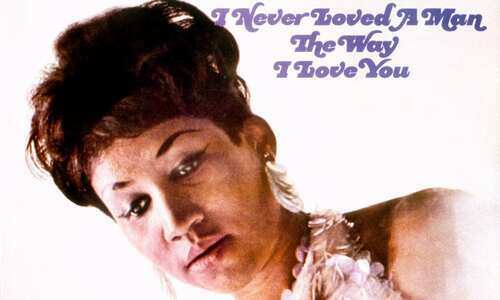 The album cover for I Never Loved A Man The Way I Loved You, released in 1967 by Atlantic Records. Photograph: Michael Ochs Archives/Getty Images. It was the tumultuous recording session in which Aretha Franklin found her voice – and a controlling bunch of men almost screwed it up. The consequences would help define modern music, not only launching Franklin but sparking a feud in Muscle Shoals, Alabama, which started a wave of creativity that helped define music in the 1970s, bringing a stream of superstars to the cluster of four towns on the banks of the Tennessee river. But first, there was a bottle of vodka. Before she was the Queen of Soul, Franklin had a false start, singing in quite a controlled way on poppy, jazzy releases for Columbia Records. Atlantic picked her up and in early 1967 sent her to FAME Studios in Muscle Shoals, where a hard-charging wannabe impresario named Rick Hall had made his first No1 hit the year before. The singer of what became a soul classic, When a Man Loves a Woman, was Percy Sledge. When the song was recorded, he was working as a hospital orderly. Franklin, aged 24, was at a grand piano in FAME’s wood-panelled Studio A, trying to turn an idea into a song. Session man Spooner Oldham was fiddling around with a five-note riff on a Wurlitzer electronic piano. Oldham got the intro and by the time Franklin broke loose with “You’re a no good heart-breaker / You’re a liar and you’re a cheat”, her first big hit was on the way. I Never Loved A Man (The Way I Love You) made it to No9 in the Billboard 100 and became the title track of Franklin’s breakthrough album. The raw power which made her famous was unleashed. But in many ways, the session was an absolute disaster. Hall died in January this year, aged 85 and widely acclaimedfor his remarkable contribution to music. In an interview in 2013, at the control desk of Studio A, he told the story of the day Aretha came to town – and the extraordinary consequences for modern music. 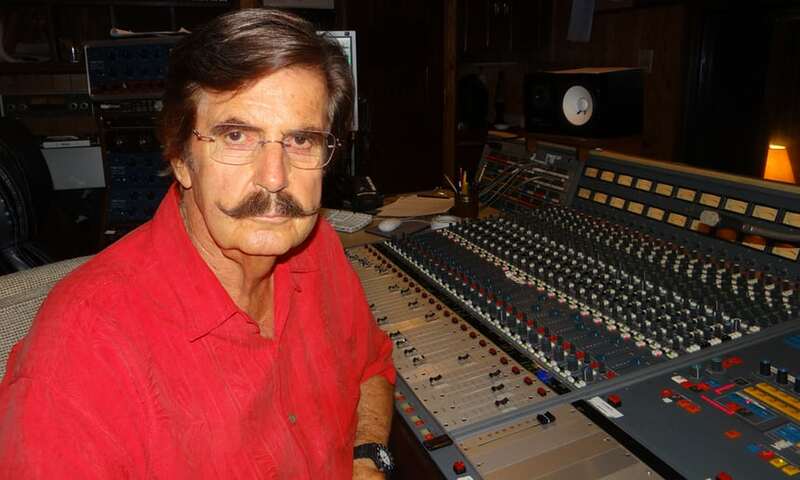 Rick Hall, impresario of FAME studios, seen in 2013. Photograph: David Taylor for the Guardian. Franklin had married at 19. Her husband, Ted White, was also her manager. They divorced the following year and a later biography suggested they often had ugly fights. Some have assumed her breakthrough song was about their troubled relationship. The trumpet player was sent home. A couple of hours later, after another complaint from White, the tenor sax was fired too. Halfway through recording Do Right Woman, Do Right Man, the session was stopped. “So I went.”… Wexler was right. ‘A very shy, introverted lady’. David Hood, a bass player who worked with Etta James, Mavis Staples, Sledge and many more, was playing trombone that day at FAME. Speaking this week, after Franklin’s death, he told the Guardian: “Working with her was one of the highlights of my career. Barry Beckett, Roger Hawkins, David Hood and Jimmy Johnson, also known as the Swampers. Photograph: Supplied for obituary. Never Loved A Man was “kind of a strange song”, Hood said, and the session was going nowhere. But then, he said: “Spooner came up with this great little lick and everyone fell in line with that, started playing, and that saved the song. It was minutes after that we did the horn parts. Hood recorded his part of the second song but was oblivious to the trouble. Producer Jerry Wexler, Aretha Franklin and her husband and manager Ted White celebrate a milestone in sales, circa 1968. Photograph: Michael Ochs Archives/Getty Images. 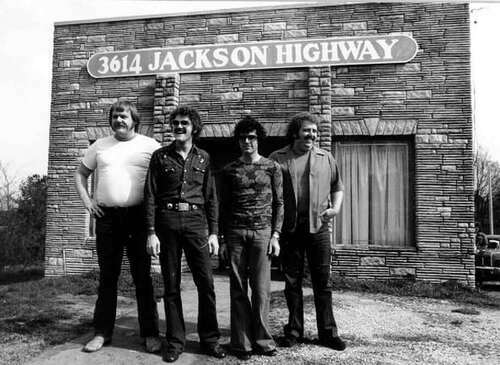 Wexler took Hall’s musicians to New York to finish the album, then set them up as rivals on Hall’s turf, buying a building across town at 3614 Jackson Highway, where the Muscle Shoals Sound Studio started. Director Greg Camalier’s great documentary Muscle Shoals, the story of a small town with a big sound, has a moment when the phenomenal output of the new studio set up by guitarist Jimmy Johnson, bass player Hood and drummer Roger Hawkins is brought home. Key 1970s albums are piled up – among them Rod Stewart’s Atlantic Crossing and Bob Dylan’s Slow Train Coming. Paul Simon, Willie Nelson and Elton John all came to record. The Rolling Stones recorded Brown Sugar and Wild Horses here, but couldn’t stay for the full Sticky Fingers album because Keith Richards was banned from the US. Lynyrd Skynyrd first recorded there – their manager gave the studio band their nickname, the Swampers. They are remembered in the lyrics to Sweet Home Alabama. Hall, not to be outdone, did a deal with Capitol Records and turned the Osmonds into a global success. Muscle Shoals became a music hub to rival Detroit and Memphis, having managed to start Aretha Franklin on her way. In Studio A, the grand piano and Spooner Oldham’s Wurlitzer are still there, side by side.